Barking Abbey Netball Academy is supported by England Netball, one of DYNAMIK Sport’s partners, offering a performance pathway to international level netball. 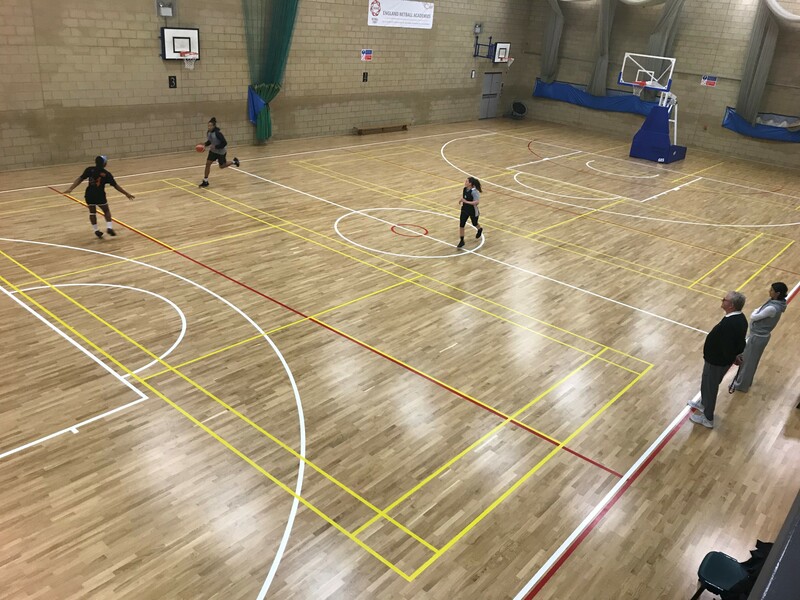 As a specialist sports and humanities college including a Basketball and Netball Academy, Barking Abbey chose a DYNAMIK sprung sports floor finished in engineered oak for players to train and compete on to gain the experience and skills for a career in sport. The Basketball Academy has a high performance coaching programme to nurture the growing talent up to international level. The array of plaques on show are a demonstration of the school’s commitment to achievement in sport including the sponsored DYNAMIK National Schools Championships organised by Basketball England. In addition to manufacturing and installation of their specialist sports floors, DYNAMIK offer a full service from start to finish offering clients the best expertise from a sports perspective. This extends to internal sports walling, line-marking and maintenance of a completed floor and floor protection products. For further information on how DYNAMIK can help you, please contact us to discuss your requirements.